This is a sponsored blog post; while the views expressed here were genuinely mine, consideration was paid to me by IndieDoGood to review this product. Local. Artisinal. Craft. You’ve heard all of these buzz words more and more of late. It’s a telling trend. People want to feel like they are getting something special, something well-made, and something made with care. The mass-market, overseas imports don’t have the same pull to many people as they once did. And for good reason…it feels good to get something a little more handmade and a little more personal. I’m not the only one that thinks this way either! Currently, 75% of consumers age 22-36 consider it very important to support brands that give back to society, and 37% of those same consumers are more likely to buy items associated with a particular cause, especially the causes that they and their friends support. The consumer of this younger generation is looking for the unique, the innovative. They embrace the Maker Movement, an umbrella term that encompasses the inventors, designers, engineers, artists and true craftsman. It’s the way of the future, but it’s really just a fall back into the past. See, a lot of times an oldie is, indeed, a goodie! It is the overall spirit that is leading what others may refer to as the Indie Movement, the DIY Movement, or the Shop Local Movement. The movement rebuts mass ecommerce, encourages information sharing, and enables local independent artisans. You might even call it the anti-Amazon, anti-mass, or anti-big box movement. In plain-speak, the Maker Movement is a social movement driven by the entrepreneurial and inventive spirit. Maker culture emphasizes informal, networked, peer-led, and shared learning about products, services, and lifestyles. It is motivated by giving back, having fun and finding self-fulfillment. It’s about doing something for yourself and for others. One unique company I’ve come across recently is working tirelessly to popularize the Maker Movement . It’s called IndieDoGood, and the website is www.IndieDoGood.com. IndieDoGood.com connects innovative, independent entrepreneurs with consumers in one, very-easy-to-use website. One of the many noteworthy aspects of IndieDoGood.com is that every purchase on the site includes a “do-good” … a 5% donation of the total purchase price to your favorite charity. So, not only, are you getting great products that you can feel good about using, you are actually contributing to society and doing good for so many other people. How can you not love this like I love this? You cannot not love this, I just know it. IndieDoGood.com founders Ron and Sue Otten are enthralled with the Maker Movement. This began when their passion for giving back to charities and local communities converged with their desire to provide an environment where entrepreneurs can tell their story, quickly go to market, and bring high-quality, artisanal products to shoppers around the world. I’m loving his, Ron and Sue…loving it. When you purchase a product from one of Indie Do Good’s Makers you are supporting the independent thinking that continues to inspire growth and change in our communities and the world. It’s a way to make out world a better, cozier place, really. It’s a way to really enjoy yourself while giving enjoyment to those makers that just want to create for others. Cycle Force – The home of unique and hard to find bikes from around the world, as well as parts and accessories. Cycle Force has a goal of a bicycle for every man, woman, and child on the planet. Hammer Head Swim Caps – Hammer Head Swim Caps, the world’s ONLY protective swim cap. Water sports have more ER visits than football, Rugby, and Hockey. Hammer Head allows you to Protect your swimmers and improve their performance with HIT Honeycomb Impact Technology™. Motion Wise – Motionwise built a solution that counters these disadvantages by engineering creatively-designed standing desks that provide improved blood flow throughout your body, increased energy, better posture, while actually helping you to burn more calories while you’re working. 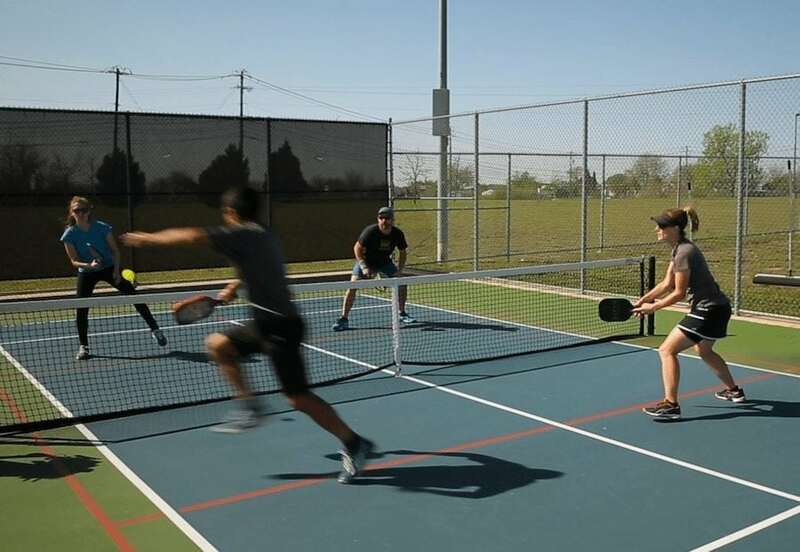 Pickle Ball – Pickleball is one of the world’s fastest-growing sports, that few people have heard of, and it’s fun for ages eight to eighty. This sport has similarities to racquetball, tennis, table tennis and badminton, but pickleball is unique too. Shore Boards – Shore Boards started by building hollow-wood paddle boards, that can even be customized and are gorgeous pieces of art. 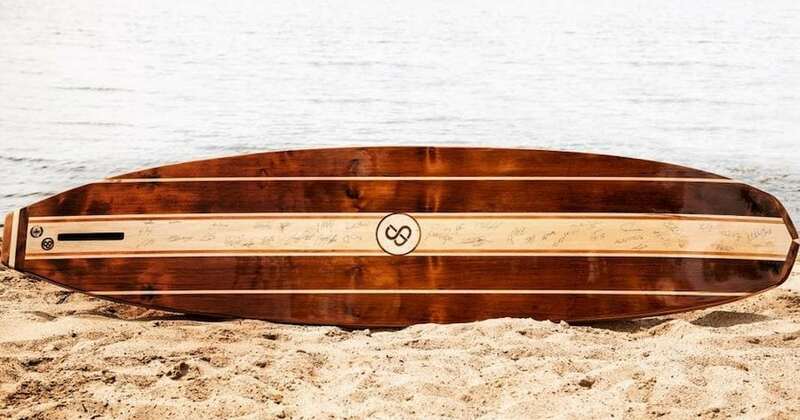 These top-quality, heirloom boards are handmade for all types of board sports including Stand Up Paddle Boards (SUPs), Longboards, and Wakesurf boards. I just love these companies and their products. Seriously, how dope is this surf board? It’s amazing, and there are just o many companies out there just as awesome. Maybe even, gasp, more awesome. I know all of this reading is helpful and awesome, but sometimes we just need to see some video, right? The videos on IndieDoGood’s YouTube channel do a great job of telling their story, as well as the stories of their Makers, including who they are, what they offer, and why you should consider supporting them. Check out this video to really see what IndieDoGood is all about, live and in color! Thank you so much for sharing this! We need more good in the world, and this is a great way to get it. This is fully awesome! I am a big, big fan of quality products, and I love to buy handmade things rather than assembly line produced whenever possible. My family is very active and all exercise daily at one thing or another so finding something on this site should be easy. I love the fact that they are giving back so it is such a win win. This is such a great movement and I love to see when companies give back. I prefer to buy homemade goods from local businesses. I love the whole concept of the ‘Maker Movement’. It is great to be able to give back to local artisans. Pickle Ball sounds like such a fun game. I haven’t heard of it until reading your post. We all try to stay active, some more than others in my house. What an interesting array of products here, thanks for sharing. There’s nothing better than supporting small local businesses and helping them thrive! The products are so much better in quality too. I think this website is awesome and it’s a great way for local stores to get the exposure that they need!